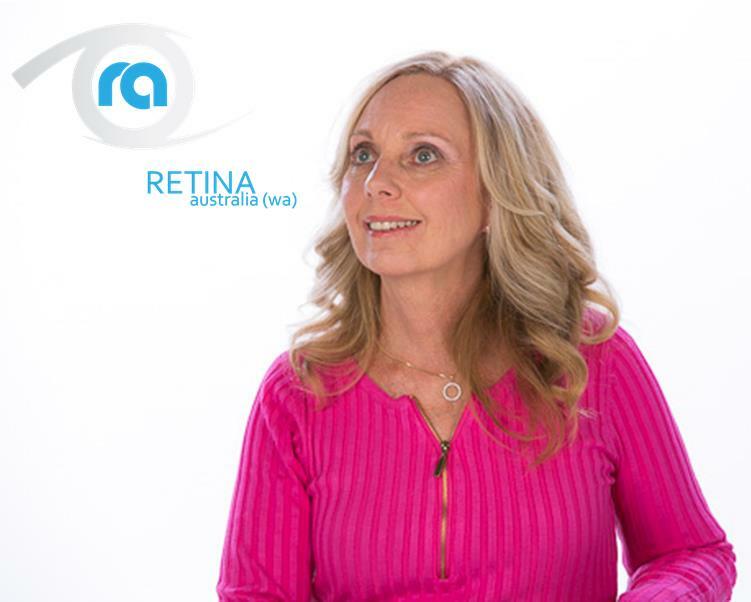 Retina Australia (WA) supports research into the cause, treatments, and a cure for retinal dystrophies such as Retinitis Pigmentosa and Macular Degeneration. Every dollar will go to research. To make a donation, simply call the office on (08) 9388 1488 or you can make a payment using your credit card via Give Matcher Give Directly. Inherited Retinal Diseases of the Eyes do not discriminate. At the age of 28, I was advised by an Ophthalmologist that I had inherited Retinitis Pigmentosa from one of my parents. I could hardly remember the name of this degenerative disease let alone realise its implications for my future. Ten years later, I noticed that my normal behaviours seemed not so normal anymore. For instance walking down a clear path, I would unnaturally and without thinking perform a skip. Then, I would realise that this was me attempting to avoid tripping over my own shadow. This was a result of the progression of the tunnel vision. Furthermore, when entering or exiting a picture theatre my legs would freeze at the thought of negotiating the stairs, not to mention finding a seat in the dark. (Night blindness is an early symptom of this degenerative disease.) In addition, I began to drive around in my car with my foot hovering over the brake pedal in nervous anticipation of having an accident. I even remember rushing into a room upon hearing my baby cry then panic and be very frustrated when not able to find him in a timely manner. I was beginning to learn that this Retinitis Pigmentosa (R.P.) was beginning to take a hold and affect all domains of my life. My peripheral vision was narrowing much more rapidly than I expected or had hoped. This condition not only affects me physically mentally and emotionally, but also financially and socially. Imagine if you were robbed not only of your eyesight, but your social outlets, your work (income) and your driver’s licence (freedom), thus becoming reliant on public transport and taxis. I voluntarily handed in my drivers licence many years ago in consideration of other people on the road, and I retired early from teaching at age 50 due to this debilitating visual impairment. I miss having the convenience of a car to be able to nip to the shop for a loaf of bread or carton of milk, or to take my son to sporting activities and appointments. Instead, I spend many hours in taxis or on buses and trains, and on platforms and bus stops in blazing heat and torrential rain and all conditions in between. I miss teaching. It was my livelihood, my purpose in life, and I enjoyed it. I miss earning a decent salary to enjoy the finer things in life including travel interstate and overseas. Being 50+ and “legally blind” is not conducive to finding alternative and meaningful employment. I know because I have tried. Being Visually Impaired/Legally Blind or Blind can place people in a dark and lonely place with only a glimmer of hope that one day soon preservation of current eye sight, or a cure, may be found for Inherited Retinal Diseases such as Retinitis Pigmentosa or Macular Degeneration which are leading causes of blindness. As long as there is light at the end of my tunnel of vision, I will continue to hope for a cure. 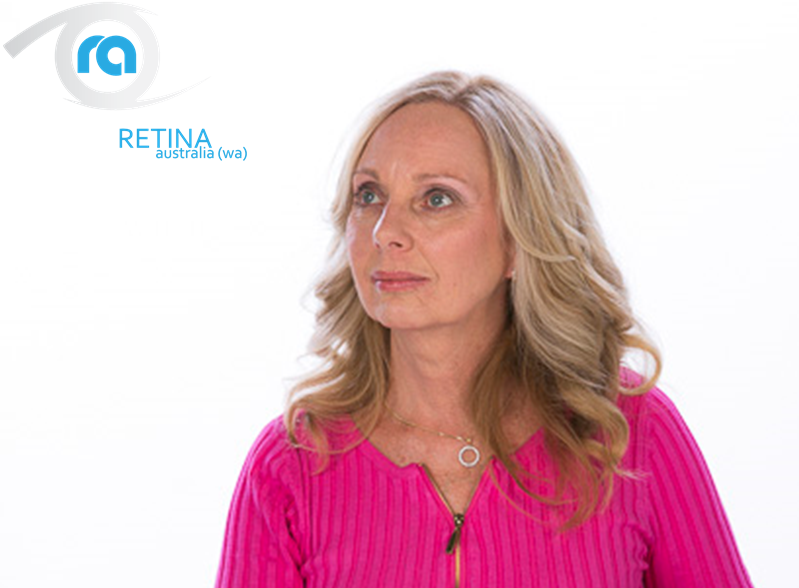 I urge you to donate to Retina Australia WA Inc – Every dollar donated is tax deductible and goes directly to research. Every donation is fully tax deductible. Making a Will is an important part of planning for the future. After you have provided for loved ones, you may then consider including Retina Australia (WA) as a beneficiary. Many people may wish to leave a bequest to Retina Australia (WA) in their Will, and these contributions will contribute significantly to our search for treatments and a cure for inherited retinal dystrophies. If you have already made a Will, perhaps you could consider asking your solicitor to add a codicil, which will incorporate your gift to Retina Australia (WA). I give to Retina Australia (WA) the sum of $… free all duties and taxes payable upon or in consequence of my death and I declare that the receipt of its Treasurer or other authorised officer shall be sufficient discharge to my executors.